Today we are going to present you countries with highest dairy consumption and low osteoporosis rates while trying to answer some questions about links between osteoporosis and consumption of dairy products that have caused a lot of debate recently. There has been growing body of claims that milk increases a risk of osteoporosis – medical condition that causes bone weakening so even mild stress can lead to fractures. One of the main arguments is that countries with highest milk consumption are also countries that have highest osteoporosis rates. If you look at Kazakhstan that has one of the highest prevalence of hip fractures in the world (651.1 fractures per 100,000) and where 258.44 kg (liters) of milk is consumed annually per capita, you might conclude – yes, milk is bad for the bones. Moreover, 12-years long Harvard study about osteoporosis found out that 78,000 women who drink three glasses of milk per day suffered more bone fractures compared to those that consumed milk seldom. However, as another article coming from Harvard University points out – it is hard to determine whether there is a correlation between osteoporosis and dairy consumption. What scientists know so far is that calcium, which is found in dairy products, is necessary for developing and maintaining strong bones. Still, there is a lot of debate how much calcium adults need. Different studies have shown that taking high amounts of calcium whether through food or supplements does not lower risk of osteoporosis. Moreover, some scientists even suggest that excessive intake of calcium can increase the risk of prostate cancer. At the same time, dairy products can be bad for you. For instance, researchers determined that women who drink three glasses of milk per day have 50% higher chances of developing cardiovascular disease and 44% higher risk of cancer compared to those who drink less milk. Other studies have also pointed out that high amounts of lactose increase the risk of ovarian cancer. With all these information it is no wonder that many parents have doubts whether there is some truth in so-called calcium and osteoporosis myth which is a reason why we created the list of healthiest milk and milk alternatives for toddlers and kids. 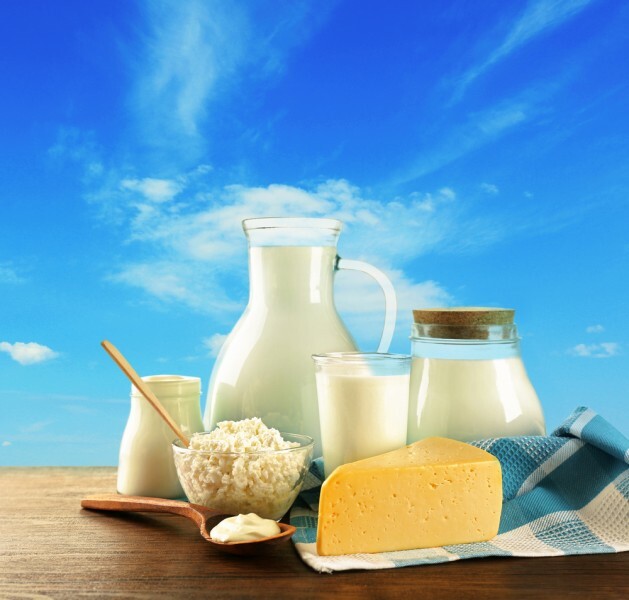 While we wait for researchers to come up with definite conclusions about milk and cheese influence on our health, it seems that best thing we can do is to consummate dairy products moderately. To create the list of countries with highest dairy consumption and low osteoporosis rates we first determined which countries use the most dairy products. Relying on data found at the website of Food and Agricultural Organization of United Nations (FAO) we ranked countries by consumption of milk, cheese, and butter. Then we followed the advice of World Health Organization which says that it is hard to determine the prevalence of osteoporosis worldwide, so the best way to compare osteoporosis prevalence between countries is to rely on fracture rates. We used data from International Osteoporosis Foundation to discover hip fracture rates by countries and thus determine countries with low rates of osteoporosis. Finally, we compared these two rankings to come up with this list of countries with highest dairy consumption and low osteoporosis rates. If you want to find out more about biggest milk consumers as well as places where is osteoporosis most common you can check our previous rankings of countries that consume the most milk and countries with highest rates of osteoporosis in the world.